Happy Mother's Day to all the mommas of all kinds! Today was a wonderful and relaxing Mother's Day. Little A let me sleep until almost 7am...well after he fell out of my bed at 5am and gave himself a black eye, but I digress :) He made me a beautiful necklace at daycare and a card and then grandma and grandpa helped him pick out 2 new cookie sheets for me which I desperately needed! Then we went for a delicious brunch at Great Escape. I highly recommend their brunch! Lots of variety, no wait at all, not over crowded and only $20 per person ($10 for kids). I know I sound like an advertisement, but it really was good haha! We came home after and cleaned up the garden for planting next weekend, watched Ghostbusters and just hung out. It was a wonderful day with my little man with almost no time outs and that is always a plus! Now to get back to the grindstone tomorrow. We have 1 more week of classes before final exams and I am predicting a rough few weeks. The students have been a bit crazy the past few weeks already, tensions and stress running high. My goal for the next two weeks is to plan ahead as much as I can at home and work, take things with a grain of salt knowing that people don't always mean things the way they sound, and make sure to cherish every moment at home with my little guy to keep me grounded. Let's hope we all make it through! 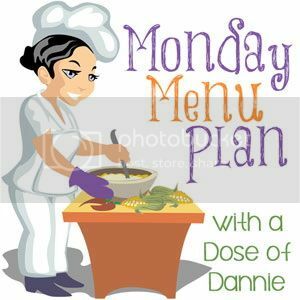 So part of the planning: make ahead breakfasts and dinners this week! Monday: Fish Tacos: leftover tilapia fish sticks from last week smothered in peach salsa rolled in tortillas with lettuce and cheese, Served with rice and black beans. Tuesday: Double Delicious Mac and Cheese: I have been trying to make this recipe for 3 weeks and it keeps getting pushed off. It is so delicious and since it can be made ahead and used for 2-3 meals it is DEFINITELY getting made this week! Plus it is a guarantee that Little A will eat it and I have to work until 8 on Tuesday :) Served with spinach salad. Wednesday: Salmon and Roasted Potatoes with green beans: marinated in lemon, dill and salt and pepper overnight (add olive oil to potatoes). Salmon cooked at 425 for 30ish minutes. Potatoes at 425 until crispy. Sunday: Cranberry Crock Pot Ribs with mashed potatoes and corn on the cob. Made a few edits to this recipe. No jelly, ketchup, bbq sauce or brown sugar. Added 1c low sodium chicken broth, 1tsp red pepper flakes, 1/4c orange juice. Spray 9x13 baking dish. Dump in both bags of frozen peaches. Sprinkle cake mix over the top of the peaches. Pour diet Sprite over the top do not mix! Thank you to Living a Changed Life blog for the inspiration for this and so many of my recipes and for daily inspiration to keep going on this Weight Watcher journey! This weeks goal: to figure out how to post a recipe to Pinterest and link it to my blog! Anyone know how?? What's for Dinner...better late than never!